This is Anna Rawson as she appears in the September 2008 issue of Men's Health. The spread includes Anna's thoughts on men ("Vocalize your feelings, make us emotionally comfortable, and put your ego away"), playing golf Anna's way, as well as several more photos. Sure thing, Anna. Give me those first two dates, and I'll definitely keep after you for a third! But, um, don't tell my wife. So-Hyun Park will soon embark on her sophomore season as a member of the Notre Dame women's golf team. Her freshman season? Only perhaps the best in the history of the school's women's golf program. 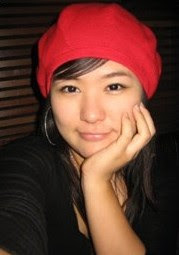 A native of Seoul who attended high school in Florida while working with Leadbetter instructors, So-Hyun became the first-ever All-American golfer for Notre Dame's women's program following the 2007-08 season. So-Hyun set the school record for scoring average, posted the second-best tournament score in school history, and the third-best rounds in school history last season. She was named All-Big East Conference. She finished in the Top 7 in nine of her 11 tournaments last year, including two victories and four runners-up. The Notre Dame athletics Web site describes her as "a special player that wants to help the Notre Dame program reach unprecedented heights ... a very focused and motivated golfer ... a very consistent golfer who hits a lot of quality golf shots that allows her to be more aggressive on the course." She was a member of the Great Britain & Ireland team taking on the U.S. in Curtis Cup at The Old Course. She was a member of Team England at the European Team Championships, and set a course record during the competition. She successfully defended her title in the English Ladies Stroke Play Championship, coming from seven strokes down in the final round to win in a playoff. She played in a professional tournament for the first time, making the cut (and tying Laura Davies) in the LET Wales Ladies Championship. As for that British weather, Jodi won't have to worry about it soon enough: She's due back in Albuquerque for her junior season at the University of New Mexico, where she is the two-time WAC Player of the Year. Below is an interview with Jodi after her title defense at the English Stroke Play. Lotta Wahlin is having a great season on the Ladies European Tour: Seven Top 10s, three wins, including her playoff victory at the Wales Ladies Championship this past weekend. Lotta, from Linkoping, Sweden, has consistently improved in each of her seasons on the LET. 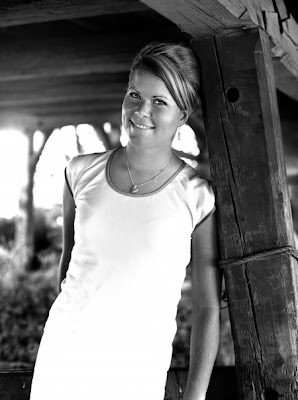 She finished third on the Telia Tour Order of Merit in 2005, earning LET membership. In her first full LET season, 2006, she was 39th on the money list. In 2007, she moved up to 21st on the strength of seven Top 10s. And this year has notched her first LET victories and currently stands fifth on the Order of Merit. Another excellent season in progress for JJ. 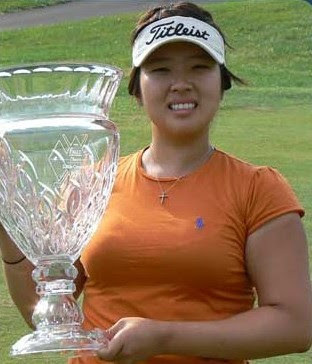 Jang currently stands ninth on the LPGA money list, seventh in scoring average, ninth in Player of the Year points. She's still looking for LPGA win in '08, but has been runner-up three times and third-place twice. Johanna Head is part of the "Wilhelmina 7" group of LPGA golfers signed by the Wilhelmina Modeling Agency. She's the twin sister of "Big Break Kaanapali" golfer Samantha Head. And as I write this, she's in second place in the LET's Scandinavian TPC hosted by Annika. Johanna turned pro in 1995, and in 1997 joined the predecessor to the LET. She won her first professional title in 1998, the Malaysian Open. She first gained non-exempt status on the LPGA in 2000, but competed mostly on the LET that year and returned to LPGA Q-School, where she again earned non-exempt status. In 2001 and 2002, she played about half the time on the LPGA, then in 2003 got in close to a full season. That was the first year Johanna had exempt status on the LPGA. A sixth place at the 2005 Canadian Women's Open is her best LPGA finish to date, but she has posted several LET wins during this time period. Maria Verchenova - shown above in a pose for a Russian magazine - is among the first wave of Russian golfers to make an impact on the world's major tours. Maria made it through Ladies European Tour qualifying in 2006, joining the LET for the 2007 season. She made four of 12 cuts in that rookie season, but did post her first top 10 that year. In 2008, Maria has cashed in all but one "regular" tour event she's played so far, and also qualified for her first major, the Women's British Open. She finished fifth at the Ladies Tenerife Open. Before turning pro, Verchenova was the Russian amateur champ in 2004 and 2006, and also won the amateur championships of Austria, Latvia and Slovenia. 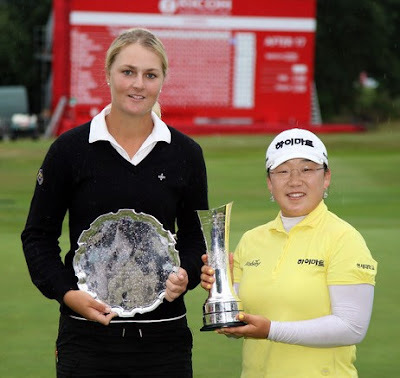 Is it that Anna Nordqvist is tall, or that Ji-Yai Shin is short? Answer: It's both! Anna and Ji-Yai pose with their trophies, the low-amateur silver plate for Nordqvist, and championship trophy for Shin, after completion of the 2008 Women's British Open on Sunday. Shin won 10 times on the KLPGA in 2007, and four times so far this year, plus once in 2008 on the JLPGA. The Women's British Open win counts as her first victory in an LPGA tournament, but at age 20, she'll be winning plenty more. 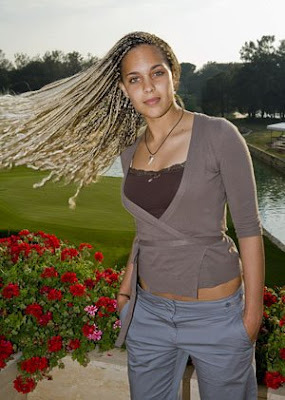 She now has membership in the LPGA Tour, too, and should be playing the LPGA full-time in 2009. Nordqvist will be entering her junior year at Arizona State University coming up, and may well be the next big Swede on tour. She was runner-up in the British Ladies Amateur in 2006 and 2007 before winning it earlier this year.